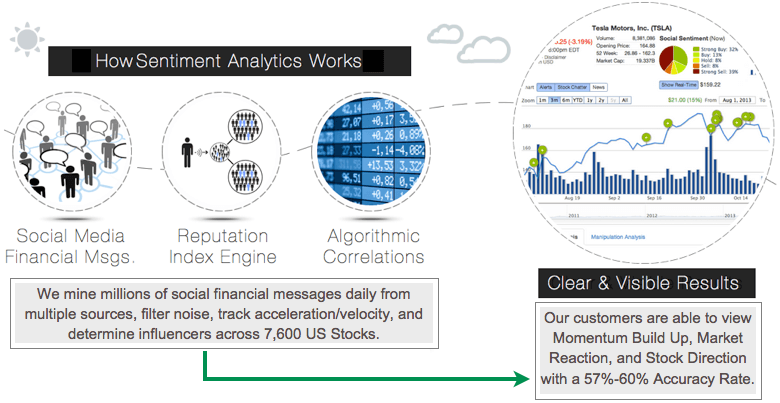 We provide our global clients social media sentiment signal coverage & alerts on 7,600 US equities. 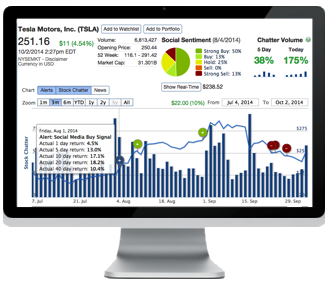 Our social data streams & analysis provide real-time actionable market intelligence for investors and trading firms. Social, the third Indicator, accelerates financial insight. 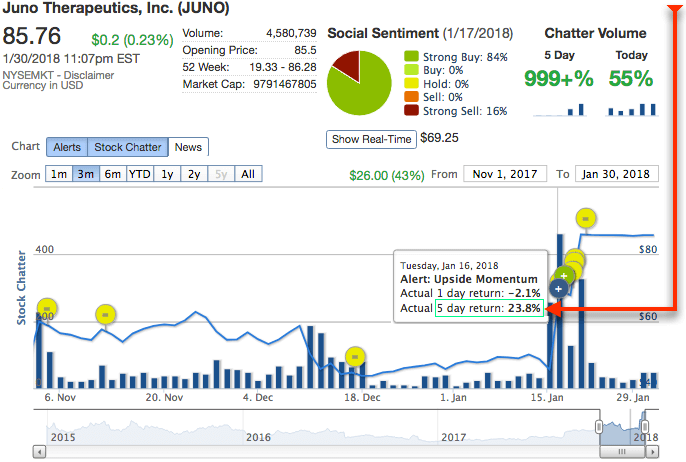 HedgeChatter analyzes REAL-TIME Social Media Feeds to find stock trading opportunities before they break. Financial Professionals are now tapping into this wealth of information to stay ahead of the markets. Feb 7th, 2017 Disruption in the financial markets has arrived. and take advantage of Algo's utilizing Alternative Data. Investors and Traders talk about their trades before they occur. HedgeChatter detects the conversations which leads to the trades. Clearly see whats about to happen as it's picked up across Social Channels. Clearly see which Stocks are being affected by Manipulation, by how much and how often. HedgeChatter gives Traders & Investors a significant and distinct advantage in the world of investing.